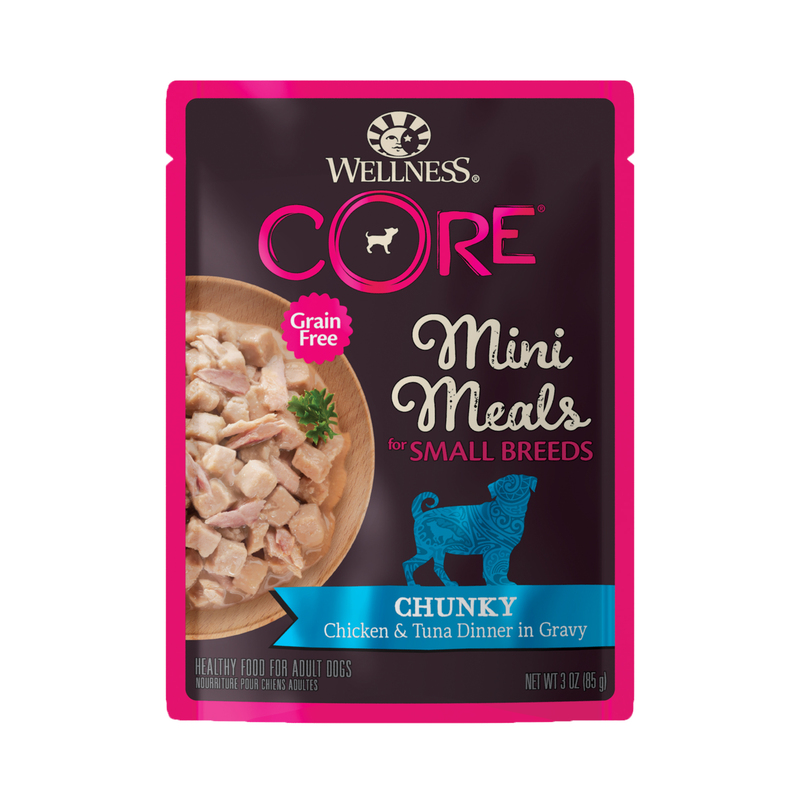 Mighty tasty, mighty nutritious mini meals packed with protein just for your Small Dog. Served in a convenient, single-serve pouch. Chicken, Chicken Broth, Water Sufficient for Processing, Potato Starch, Tuna, Chicken Liver, Egg, Tapioca Starch, Natural Flavor, Salt, Tricalcium Phosphate, Sunflower Oil, Guar Gum, Magnesium Sulfate, Vitamins [Vitamin E Supplement, Thiamine Hydrochloride, Niacin, Vitamin A Supplement, Pyridoxine Hydrochloride, d-Calcium Pantothenate, Riboflavin Supplement, Folic Acid, Vitamin D3 Supplement, Biotin, Vitamin B12 Supplement], Potassium Chloride, Choline Chloride, Zinc Amino Acid Chelate, Iron Amino Acid Chelate, Manganese Amino Acid Chelate, Copper Amino Acid Chelate, Sodium Selenite, Potassium Iodide. 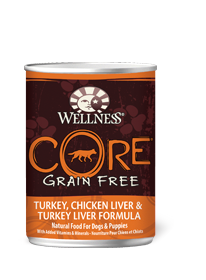 Wellness® CORE® Small Breed Mini Meals Chunky Chicken & Tuna Dinner in Gravy is formulated to meet the nutritional levels established by the AAFCO Dog Food Nutrient Profiles for maintenance. For adult dogs. Best at room temperature. Refrigerate unused portion. Always provide access to clean, fresh water. Adjust as needed. 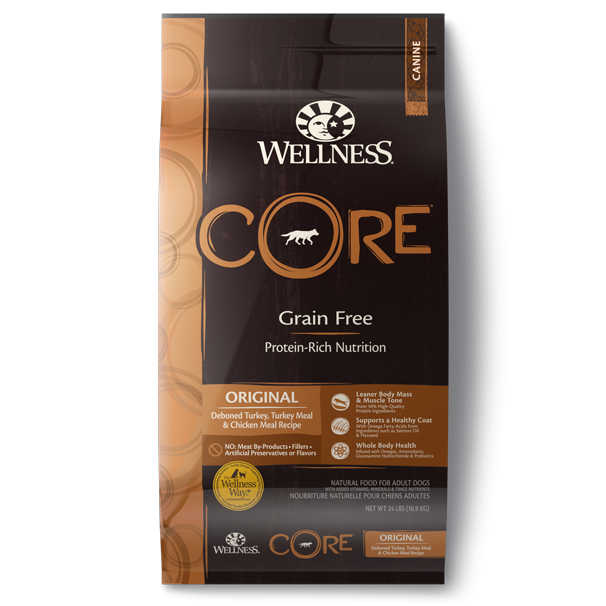 When fed alone to adults: 2 pouches per 5 lbs of body weight per day. When fed with dry: reduce dry by ¼ cup for every 1 pouch wet.